China Wants a National Blockchain. Big Brother is Watching Cryptos. We’ve said frequently that we distrust most (not all) cryptocurrencies. We’ve also made the point that governments don’t go down without a fight and will not stand by while cryptocurrencies undermine their monopoly on money printing and monetary policy. Finally, we’ve also said that blockchain technology, what we call distributed ledger technology or DLT, has a bright future even if the cryptocurrencies built on DLT do not. Now all three of those points have converged in a single development as reported in this article here. China has announced that they will develop national blockchain standards. No doubt those standards will include ease of government monitoring of message traffic on government approved blockchains. The next step is for the Chinese central bank to create its own cryptocurrencies, which is the subject of this article. So, blockchain and cryptocurrencies may be here to stay but they will be built to state specifications and controlled by the state. 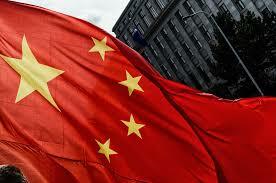 China already imposes massive censorship on internet traffic. (I know… because when I visit China, my twitter account, @JamesGRickards, goes dark and I cannot use it while I’m there). Now China will use the same tactics when it comes to cryptocurrencies. Other nations cannot follow China’s lead on internet censorship, but they will follow China’s lead on cryptocurrencies. Last week the head of the IMF, Christine Lagarde, said the G20 governments should “fight fire with fire” by using government blockchains to monitor and control private blockchains. It sounds like China and the IMF are on the same page. The rest of the world will not be far behind.